The world is witnessing a rise in populism, nationalism, and protectionism that signals a challenge to the post-WWII order. At the same time, growing transnational challenges such as climate change, mass migration, and refugee crises, as well as traditional and non-traditional security threats, demand that countries and institutions cooperate more regularly and effectively. Think tanks play a critical role in analyzing, developing, and promoting policy solutions, particularly in times of extreme disruption and change. However, these organizations now operate in information-flooded societies where facts, evidence, and credible research are often ignored — and where “alternative facts” and “fake news” can gain a footing. To remain relevant and impactful, think tanks and policy institutes must simultaneously pursue rigor, innovation, accessibility, and accountability more than ever before. 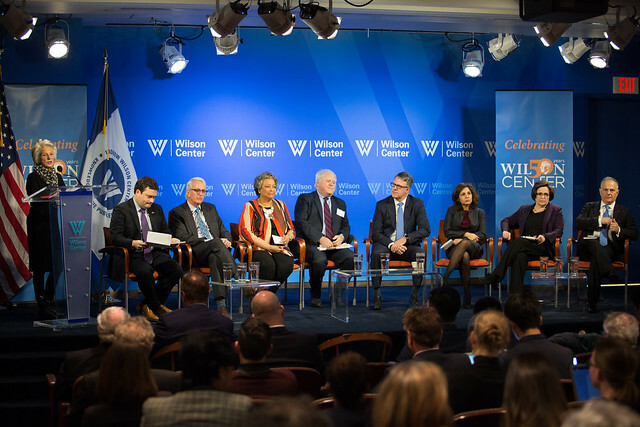 The Wilson Center, the Atlantic Council, and the University of Pennsylvania’s Think Tanks and Civil Societies Program presented a panel discussion on the current era of political and digital disruption and the role of think tanks and policy-developers during this uncertain juncture. The event also served as the Washington launch of the University of Pennsylvania’s 2017 Global Go To Think Tank Index.